Designed in 1956 by Charles and Ray Eames, the Eames lounge chair & ottoman epitomises the architectural style of the Modern era. 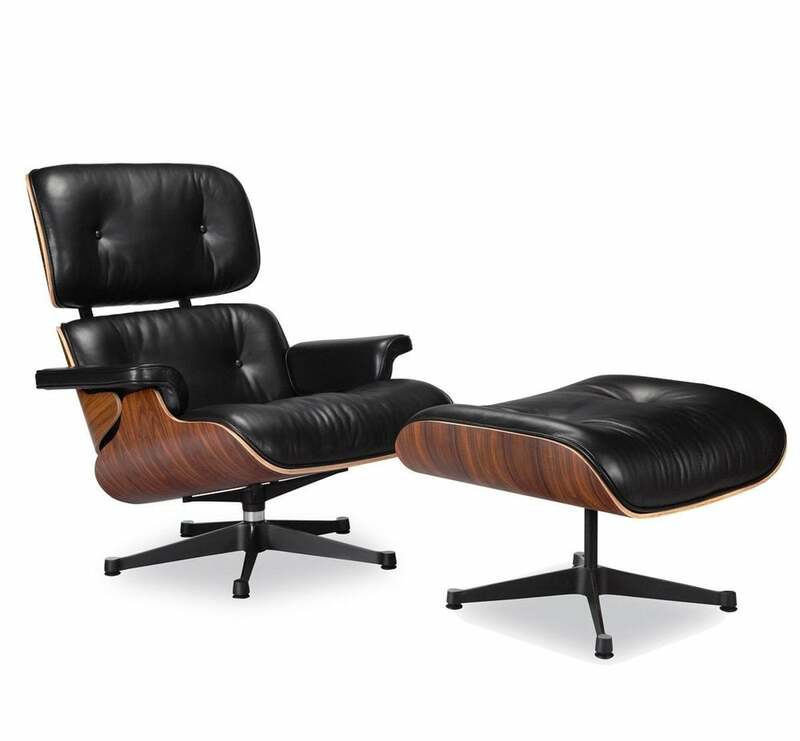 It was the first eames chair designed for the high end market and today, the iconic eames lounge chair & ottoman is considered a metaphor for elite interiors and furnishings. The fundamental design intent for comfort and practicality is preserved unequivocally in this piece. Our eames lounge chair & ottoman is manufactured painstakingly, with attention to the smallest detail. We use the highest quality materials including genuine Top-Grain Italian Leather, Plywood Frame and Die-Cast Aluminum Base. PLEASE NOTE: This item is as faithful a reproduction of the original as you can get. It is constructed in exactly the same way as the original design and specifications. So much so, that even the seat on the ottoman is interchangeable with the seat on the chair, so that the cushions can be rotated for longer wear. The base is constructed from cast aluminum (only the lounge chair swivels). Exactly as designed by Charles and Ray Eames. Material: Walnut or rosewood plywood shell with Italian leather Dimension: Width: 33" x Length: 33" x Height: 34"